Obviously with it being my third time in Thailand, I have a lot of love for the place but I was a bit worried about whether it would lose some of its shine after fantastic Myanmar. I was only planning on staying a week here and not doing very much but even then I expected to cross the border and immediately be on my guard due to intense tuk tuk drivers and scam artists. The reality was very different. 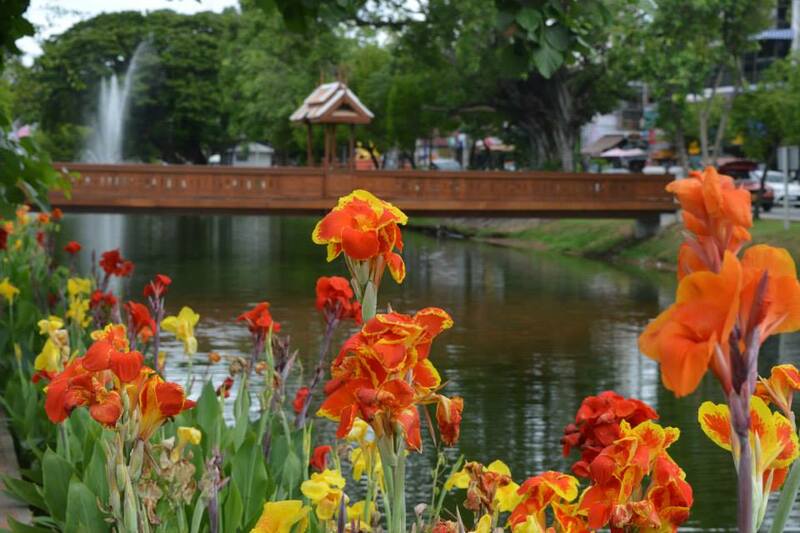 Mae Sot is a very charming place, big enough to keep you busy but small enough to wander round and soak it in. There’s not tonnes to ‘sightsee’ but there’s a great market, the odd pagoda and just a nice Thai-Burmese vibe. It was a very relaxing reintroduction to Thailand which I hadn’t expected. Even walking out of the border crossing, I was casually invited to take a 20 baht songthaew (shared pick up) rather than an overpriced taxi. It’s a great culinary city too with brilliant mixtures of Thai, Burmese and Western food at very cheap prices in charming restaurants. Overall, after the epic journey from Bagan to Myawaddy, I definitely needed the day to just unwind. The following morning I was up early to take yet another bus (though decidedly shorter than my Myanmar bus rides) to Northern Thailand’s famous Chiang Mai, apparently one of the most liveable cities in South East Asia. The problem with Mae Sot though was that it was too far in the other direction – I couldn’t find tuk tuks to take me to the bus station anywhere. Your best bet is to head to the big Tesco Lotus where a couple of inconspicuous motorbike taxi riders hang out, though they make no effort to tout for business. There was some confusion over the bus station too as Google Maps pointed me to the wrong place. The bus station you want is close to the airport and opposite a gigantic home B&Q type store. It should take about 10 minutes from the city. The company going to Chiang Mai is Green Bus and I took the 10.30am one though I think there is an 8/8.30am one too. The schedule is on their website. It cost the rather odd price of 319 baht and took 4-5 hours on a nice scenic drive. The bus arrived at Arcade Bus Station from which you can take a songthaew to the city. It’s 20 baht to be dropped just outside the city walls or 40 baht to go inside. The inner city isn’t too big so I just got dropped off outside and walked it. My guesthouse, Diva Guesthouse, was a typical backpacker place with friendly staff, a cramped, dingy room and a good set-up for tours, transport and the like. I didn’t use any of them as I spent my time in Chiang Mai doing very little, though they were helpful arranging my sleeper train to Bangkok. Chiang Mai was just heavenly. I spent three days doing not very much at all and it was perfect. It’s a good base for sightseeing or trekking but I just wanted to kick back and relax. 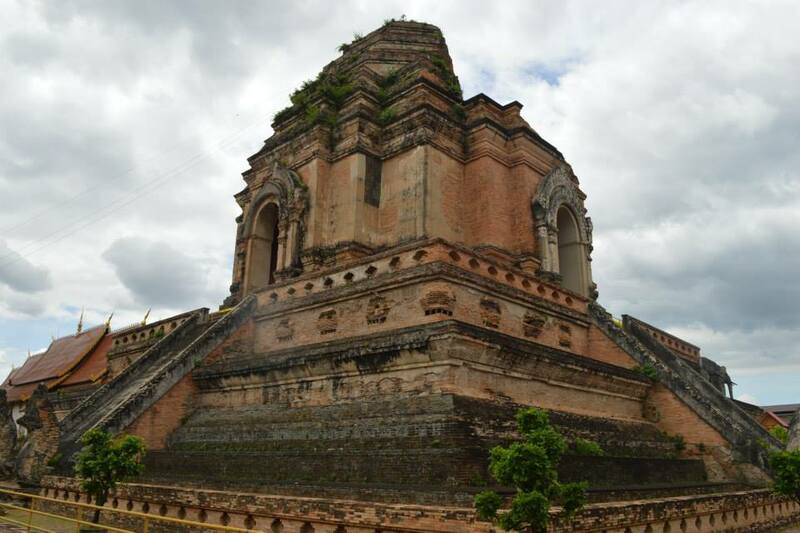 There are a couple of good temples within the city (Wat Chedi Luang is a really good bet if you want to see a stunning temple within the city walls) but otherwise it’s great to just eat, drink and chill. It’s touristy without being in your face, though you still get the benefit of great restaurants serving food from all over. “Cooking Love” down Rachadamnoen Road, Soi 1 is a good bet for some cheap but yummy Thai food and the owner is incredibly friendly. Chiang Mai is also a shopping haven. I hate shopping normally but there was something addictive about Chiang Mai’s markets. The weekend ones in particular are brilliant. On a Sunday evening, all the inner city roads are closed and the streets become filled with market stalls selling anything and everything. Even if you don’t want to buy anything, it makes for a fantastic stroll as the sun sets over the city. Part of me felt bad as I didn’t do much sightseeing in Chiang Mai but I honestly don’t think I missed out. I left the place feeling refreshed and relaxed, having eaten and drank well and met good people. I’m not sure traipsing round temples could have topped that. And, after all, I am on holiday.